The final clue for this weeks WhereArtI, and the full sketch – I hope you recognise it now.., let me know if you can tell me where I am sketching this week. 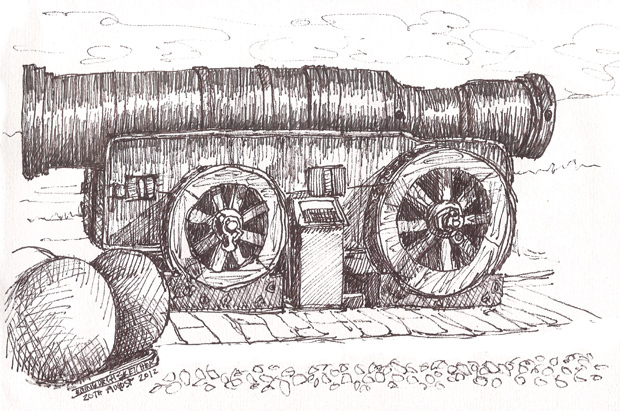 Here is the second clue for this week’s WhereArtI quiz. This morning I gave you an extreme closup of my sketch, here is a little more of the drawing, can you tell where I am? 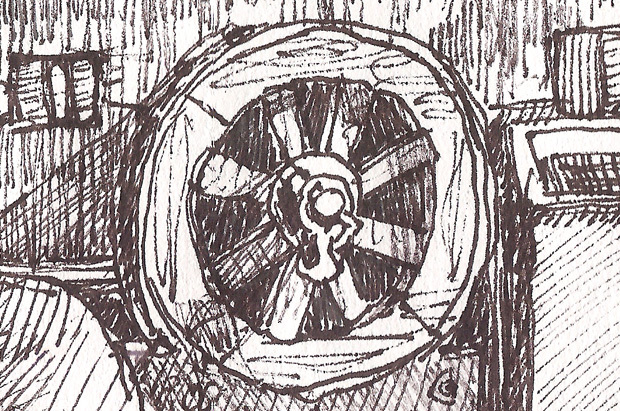 The first clue is below, good luck and I’ll post the whole sketch later today if you are still stuggling. If I gave you the whole WhereArtI sketch you lot are so clever you’d get it right away, so something a little different this Monday morning. Here is an extreme closeup. More of the sketch to come later so keep popping back, can you tell where I am in the city? The sketch is black ink in my A5 sketchbook. The final page so I’ll be after a new one today.